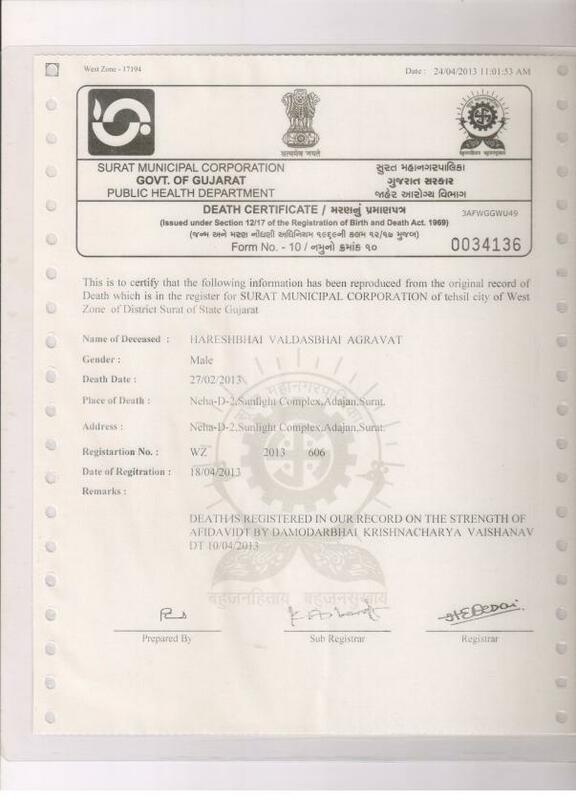 Please help to support malhar treatment. 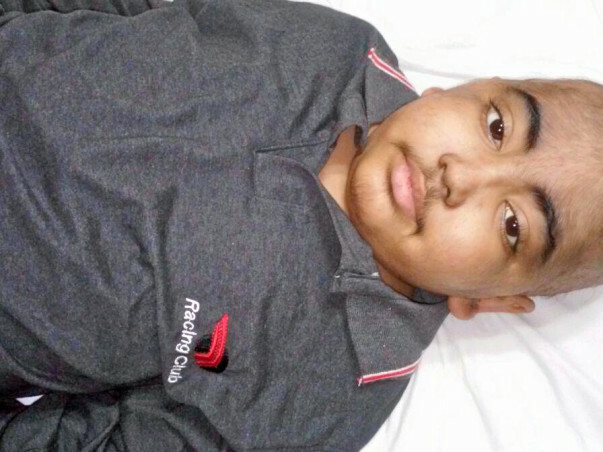 My name is Jignesh Agravat, My 10-year-old nephew, Malhar Agravat Is suffering from a life-threatening disease known as Thalassemia Major, which is a rare blood disorder due to which there is an increase in F hemoglobin and a decrease in the production of certain oxygen carrying proteins in red blood cells. In most cases, patients with the disease have a life expectancy of around 14 to 17 years. 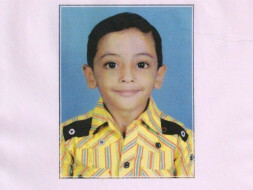 Malhar was diagnosed with Thalassemia major when he was 8 months old in March 2007. Since then he has been going under constant blood transfusions every month. It was a big shock for us when his father died in February 2013. My sister Smita Agravat and her two children are now living with us in Ahmedabad. 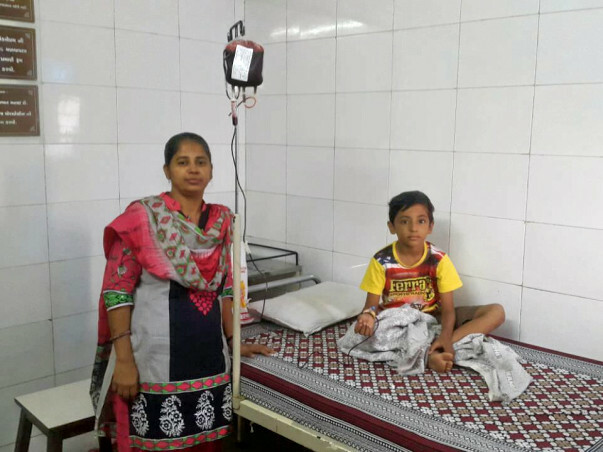 After his father’s sudden death, Malhar is the only hope for my sister. 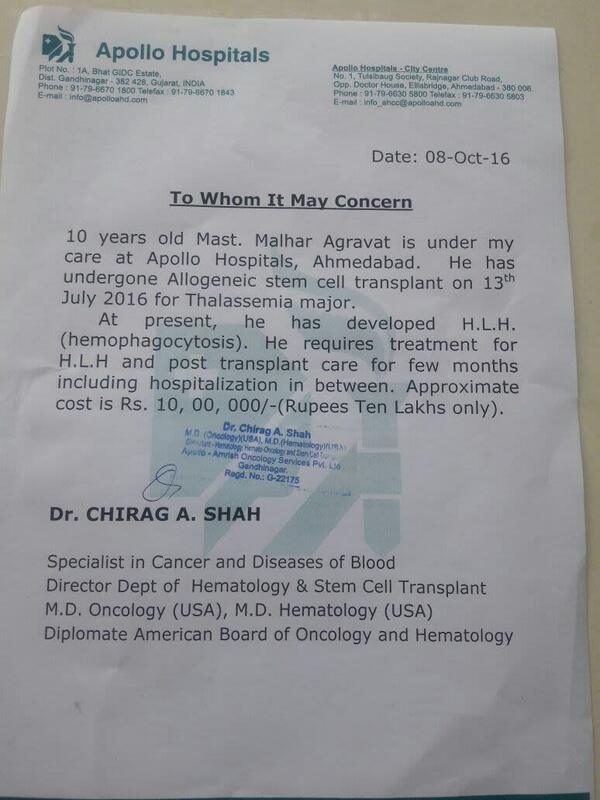 He is undergoing treatment at Apollo Hospital, Ahmedabad. 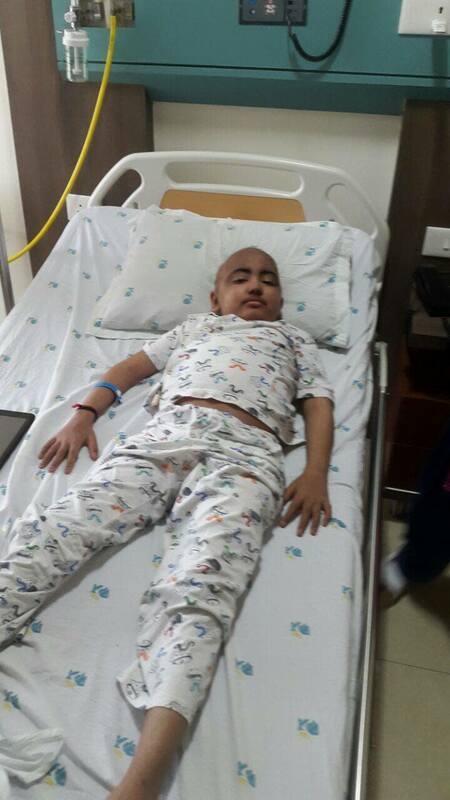 Doctors informed us that he should undergo a bone marrow transplant. 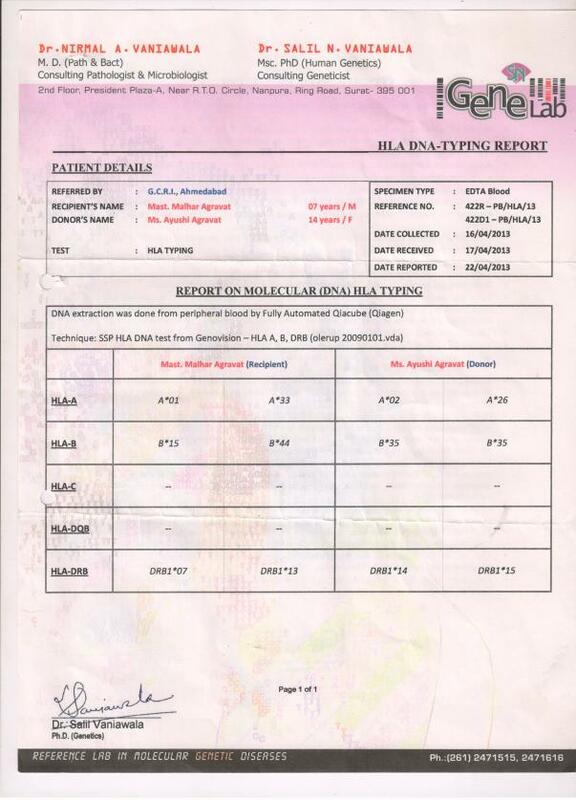 We have done Molecular (DNA) HLA Typing test in April 2013 to find a donor. 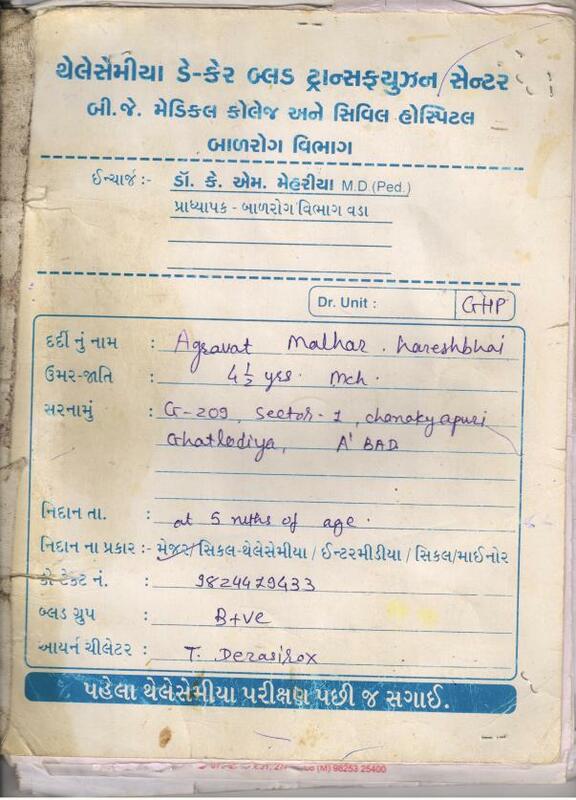 His sister Ayushi Agravat was tested and she was not a potential doctor We almost lost all hope. Fortunately, the doctor at Apollo found a donor. 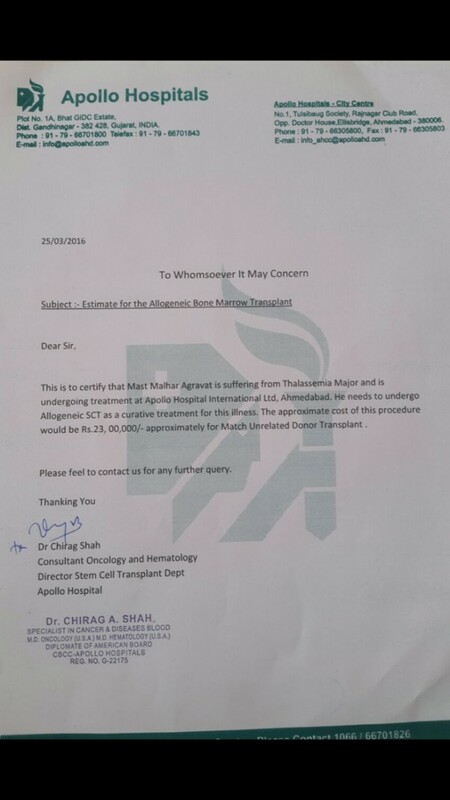 But the cost of bone marrow transplant is over 23 lakhs. I can’t afford this amount. 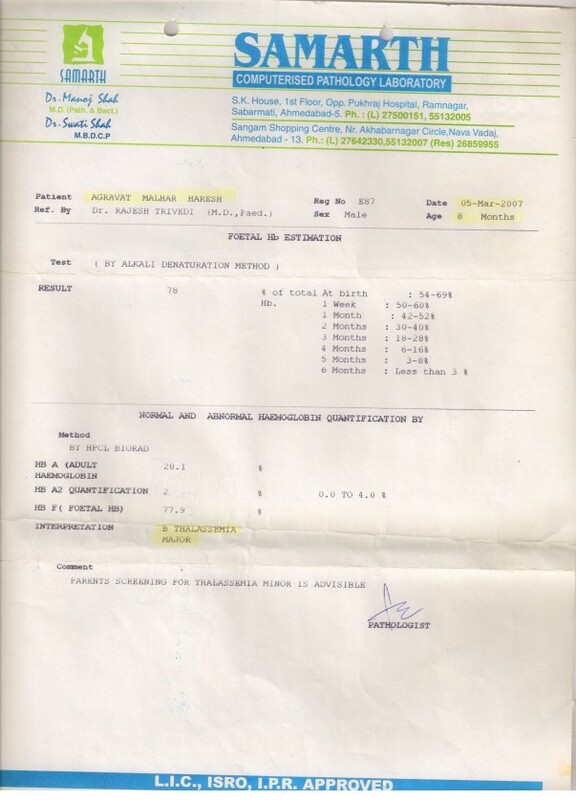 As per doctor's experience & recommendation, it is perfect time for him to go for BMT. It is 90% success rate for his age. It will be too late for him if I can’t get money for him. 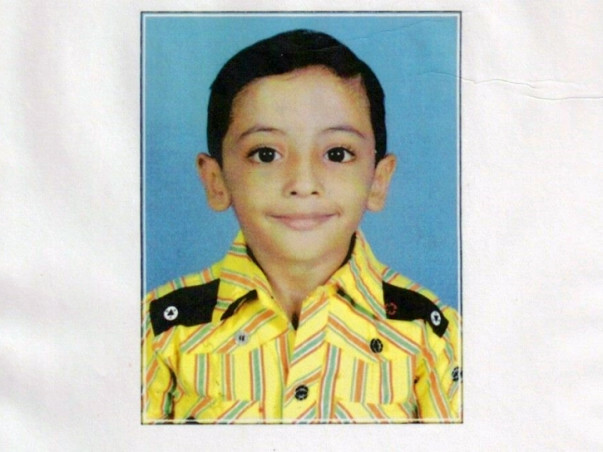 Please contribute and pray for Malhar’s life, he is only hope for my Widow Sister. Please consider the situation and donate. I have a strong belief in God. God helps the ones who help needy. Thank you for the financial and moral support from all of you. 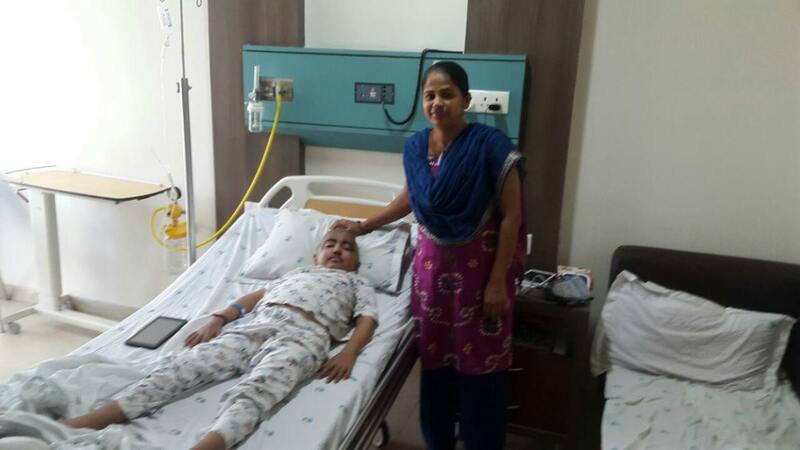 Your support helped us treat our dear Malhar. It is really hard to share this with you all. 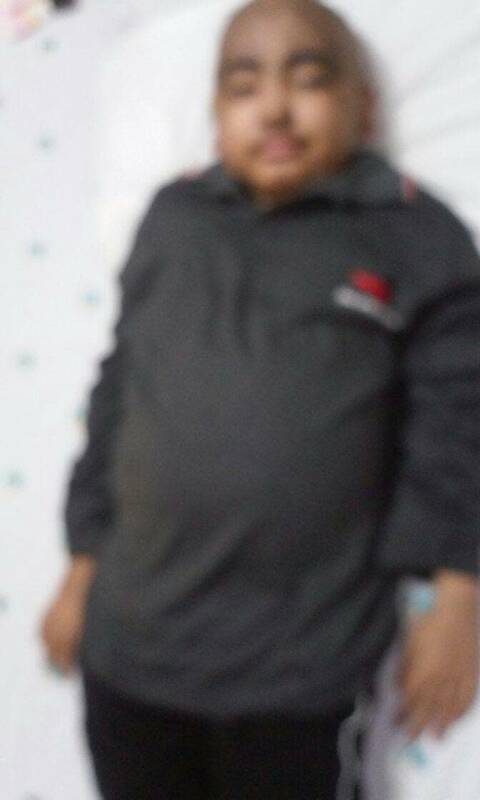 It is unfortunate that despite all your prayers and support Malhar passed away. He was in a serious condition in the last few days. He developed multiple complications and was in ICU. Doctors tried their best. Keep him in your prayers. 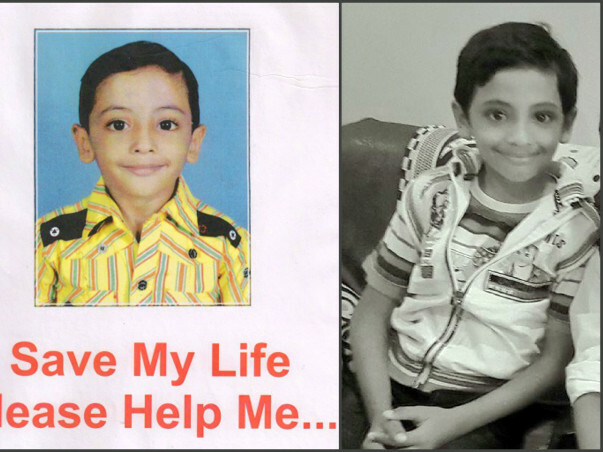 His mother is inconsolable and she needs your prayers. Thank you all once again. 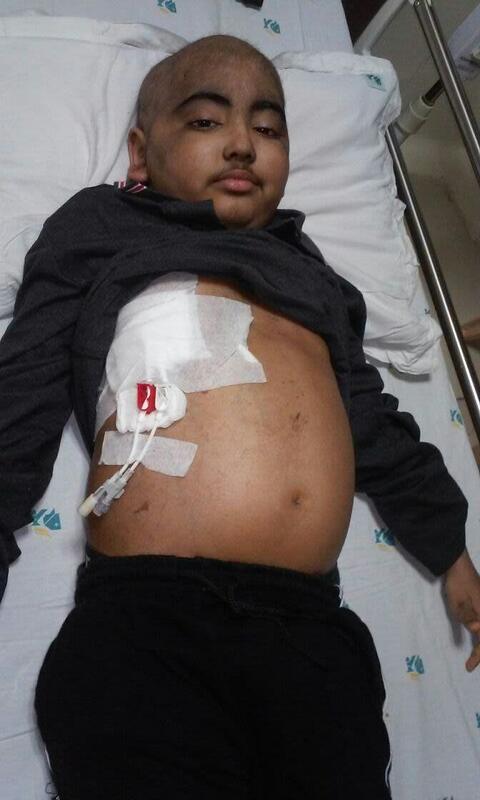 Get well soon brave boy.